I think the best word for this one is gratuitous. 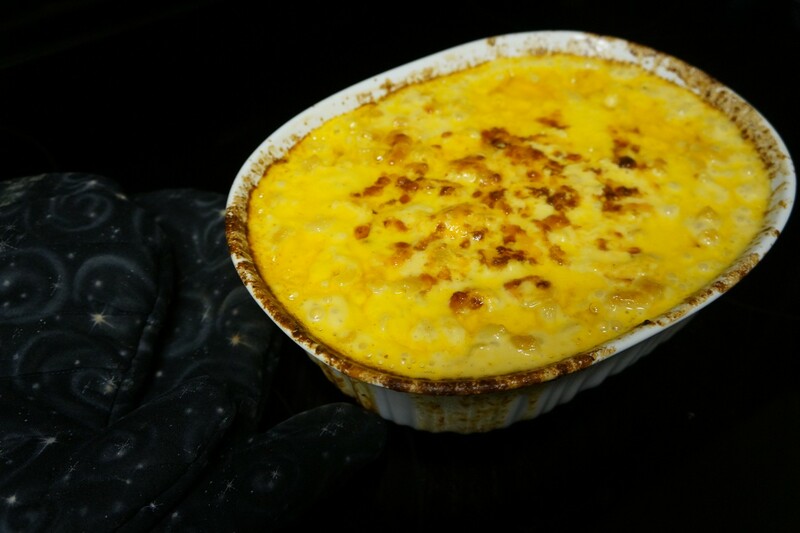 In my continuing quest to make the perfect macaroni and cheese, I stumbled across this odd little recipe for Creamy Macaroni and Cheese in the New York Times. What makes this recipe weird? A few things. First of all, it has cottage cheese in it. Who puts cottage cheese in macaroni and cheese? Second, you don’t precook the macaroni. Instead, you mix uncooked macaroni in with the cheese and let it cook in the oven. So, is this the perfect macaroni and cheese? No, but it’s really good macaroni and cheese. The cheese sauce is a little bit grainy, which seems to be a common failing of all cheddar-based mac and cheese, but not overly so. Mine was a little salty, which I’ll chalk up to the fact that I made it with salted butter. It doesn’t have a crumb topping, but it would be easy enough to add one. I liked how the cheese crusted a bit in the bottom on the dish, but I wish the top had crusted (this might be my fault, see below). Not precooking the pasta or making a cheese sauce make this an easier recipe than most, but the down side is it takes forever to bake (60-75 minutes total). 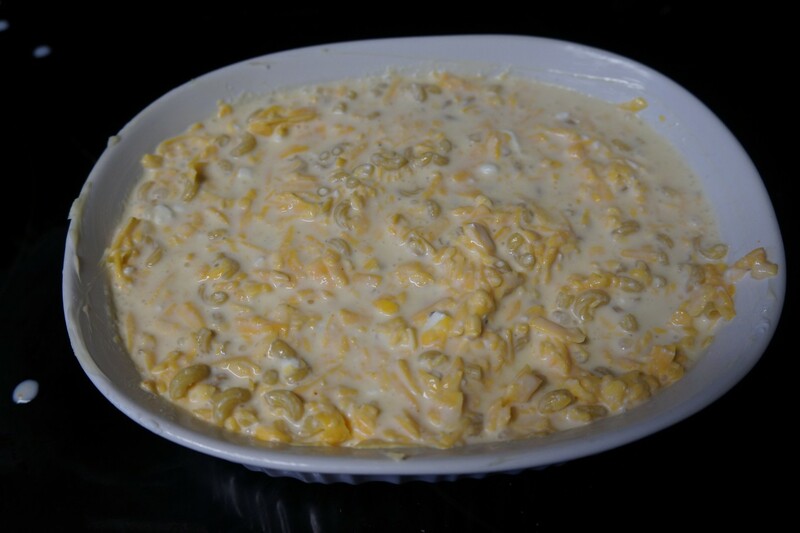 Overall, I like this recipe, and I think I’d pick it over my previous macaroni and cheese. I’d like to play with the cheese combination to try to solve the graininess issue. I also think this would really benefit from some bacon, maybe crumbled on top. ½ lb elbow pasta, uncooked. Heat your oven to 375 degrees. The recipe tells you to position your oven rack in the upper third of the oven. I didn’t do that, and it might be why I didn’t get the brown cheese crust. I regret everything. If you have a blender, use it to puree the cottage cheese, milk, mustard, cayenne, nutmeg, salt, and pepper. I don’t have a blender, but I wasn’t about to let that stop me. If you also don’t have a blender, do it my way. 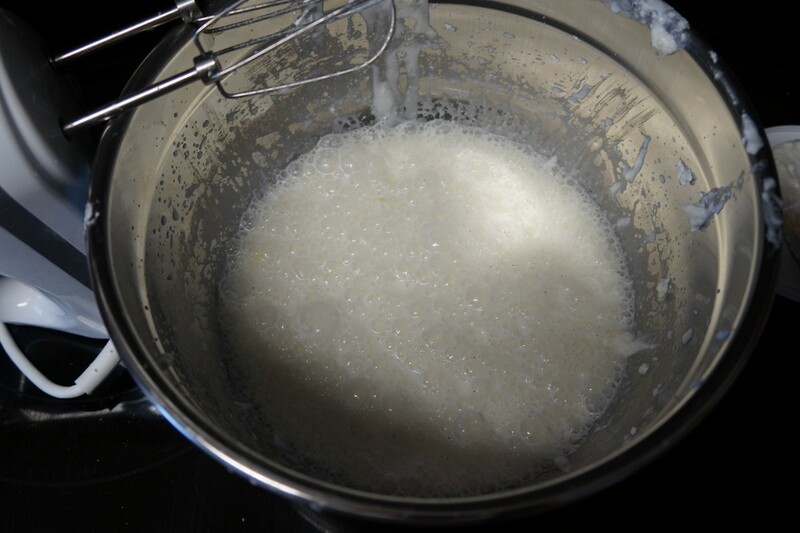 Press the cottage cheese through a sieve to break up the chunks. You’ll have a smooth paste, sort of like ricotta. 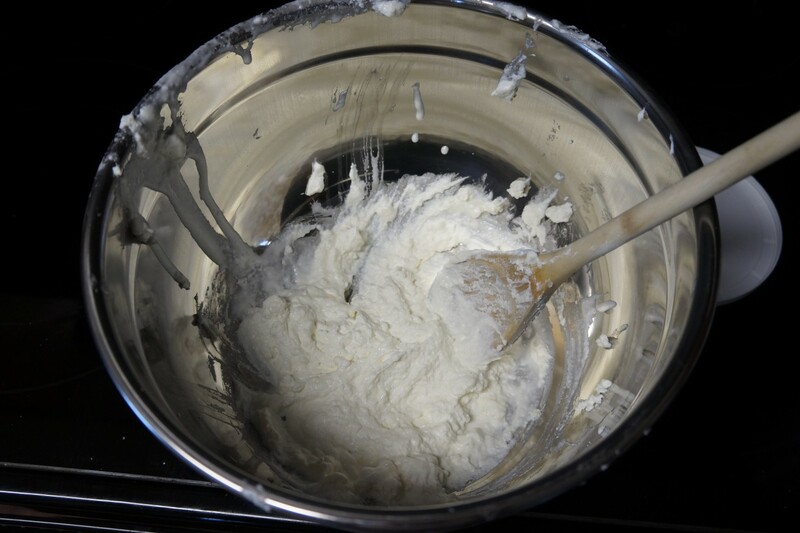 Mix the milk, mustard cayenne, nutmeg, salt, and pepper into the cottage cheese with an electric mixer or a whisk. 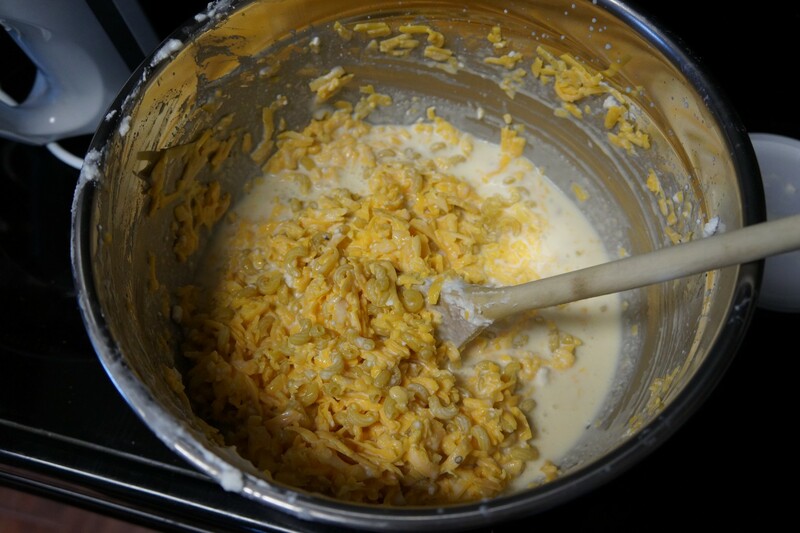 Stir the macaroni and all but 1/4 cup of the cheese into the milk mixture. 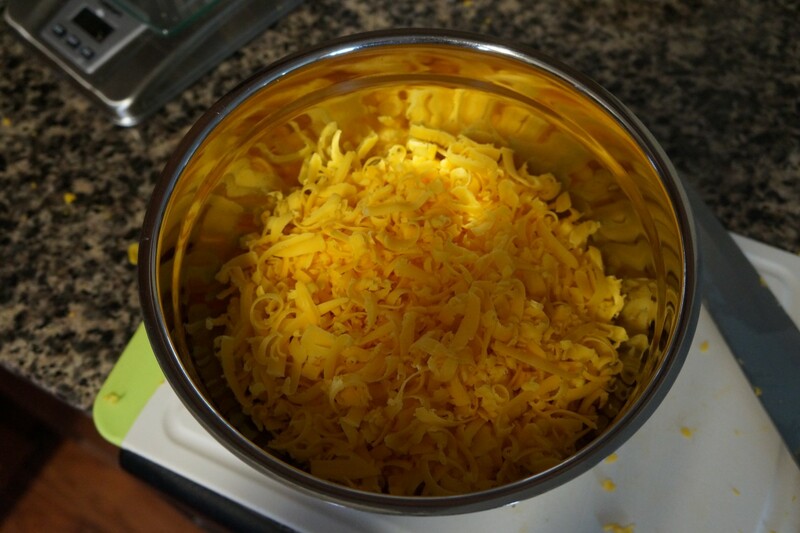 Use 1 tablespoon butter to grease up a casserole dish and pour your cheese-y uncooked macaroni into the vessel of cooking. … and bake for 30 minutes. Take it out of the oven, uncover it, and stir gently. I was not gentle. I made a mess. 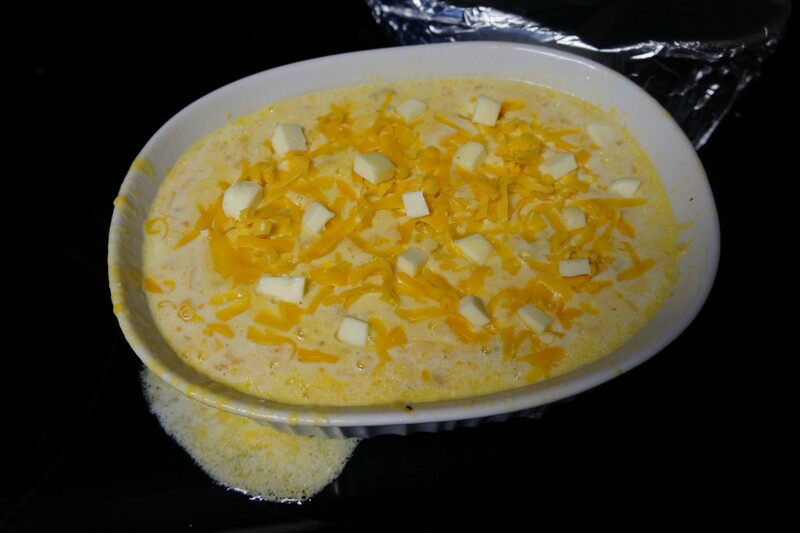 Top with the remaining cheese and butter. In the future, I think I will reserve 1/2 cup of cheese instead of 1/4. 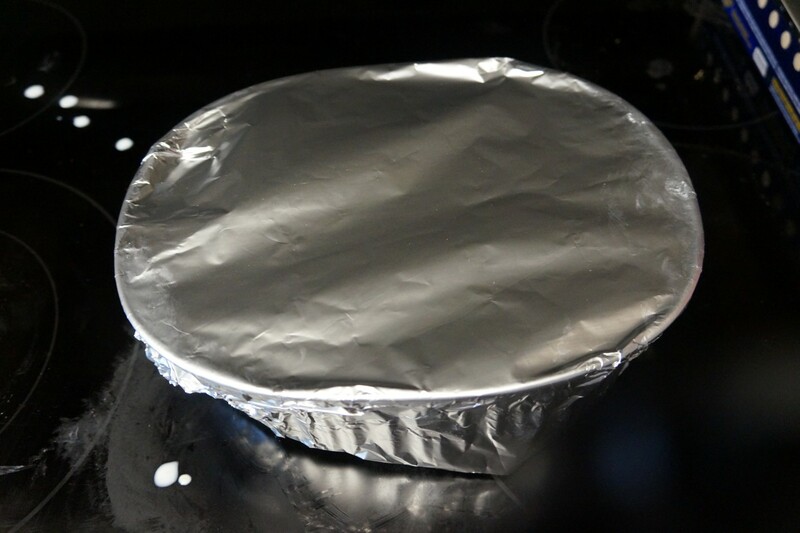 Return it to the oven (uncovered) and bake until browned on top, 30-45 minutes. When it comes out of the oven, it’ll look like a greasy mess. Let it sit for at least 15 minutes. By the time it’s done sitting, all that grease will have melted into the macaroni and cheese. Serve it with some vegetables to make you feel better about all that grease. I hesitate to make M&C from scratch like this because it is way too much for the 2 of us, and reheated leftovers are usually gluey and gross. So I am wondering if you had the leftovers of this, how you reheated them (microwave? oven? ), and how it was. I’ve been reheating it in the microwave. It’s not gluey, but it’s a little bit greasy (like what usually happens when you microwave cheddar.) I haven’t tried reheating it in the oven. It would also be pretty easy to half this recipe and make it in a smaller corningware. Not sure how the timing on this one would work if I split it in half, since the mac is actually being cooked in the oven (unlike when you precook it). Smaller quantity presumably would need less time, but maybe the full hour+ might be needed to cook the mac?